LOS ANGELES, CA--(Marketwired - June 17, 2015) - Grammy-winning composer, producer, arranger and guitarist Nile Rodgers will receive the BMI Icon Award at Broadcast Music, Inc.'s (BMI®) R&B/Hip-Hop Awards, to be held Friday, August 28, at the Saban Theatre in Los Angeles. Rodgers, a musical architect of the influential band CHIC and perennial "hit maker", was selected as this year's BMI Icon recipient for his incomparable catalog and his defining influence on popular music. The star-studded event celebrates the songwriters, producers and publishers of the most-performed R&B/Hip-Hop songs of the previous year. The evening will also include the presentation of the R&B/Hip-Hop Songwriter, Producer, Publisher of the Year and Social Star awards. BMI President and CEO Mike O'Neill and Vice President, Writer/Publisher Relations, Atlanta, Catherine Brewton will share the evening's hosting duties. "The BMI Icon Award is given to an individual for their ability to connect people through song and defy musical expectations," said Catherine Brewton, BMI Vice President, Writer-Publisher Relations, Atlanta. "Nile's exceptional body of work, spanning decades, crosses genres and leaves a lasting impression. We're so thrilled to present this honor to such a singular talent and incredible musician." A Grammy-winning composer, producer, arranger and guitarist, Rodgers constantly evolves and expands the boundaries of popular music. As the co-founder of CHIC, Rodgers pioneered a musical language that sparked the advent of hip-hop with "Good Times" and generated groundbreaking pop hits like "Le Freak," which was inducted into the 2015 Grammy Hall of Fame. His career-defining productions for David Bowie ("Let's Dance"), Madonna ("Like A Virgin"), Diana Ross (diana), and Sister Sledge ("We Are Family"), plus his work with artists like Duran Duran, INXS, Mick Jagger, Grace Jones, Steve Winwood, Peter Gabriel, The B-52s, and Michael Jackson, have sold over 200 million albums and 50 million singles worldwide, while his innovative, trendsetting collaborations with Daft Punk, Avicii, Disclosure, and Sam Smith reflect the vanguard of contemporary music. With over 200 production credits, 17 BMI Awards, and three Grammy Awards, Rodgers transcends all styles of music across multiple generations. Signed to Warner Bros. Records, he's currently preparing the first new CHIC album in nearly 25 years and will take CHIC on the road throughout 2015 to support the release of its first single "I'll Be There," which is currently No. 1 on Billboard's Dance Club Songs chart. He serves as Chairman and Founder of the We Are Family Foundation (WAFF), authored the best-selling "Le Freak: An Upside Down Story of Family, Disco and Destiny" (2011), and distributes soundtracks for popular AAA video games via his national distribution company and record label Sumthing Distribution and Sumthing Else Music Works. 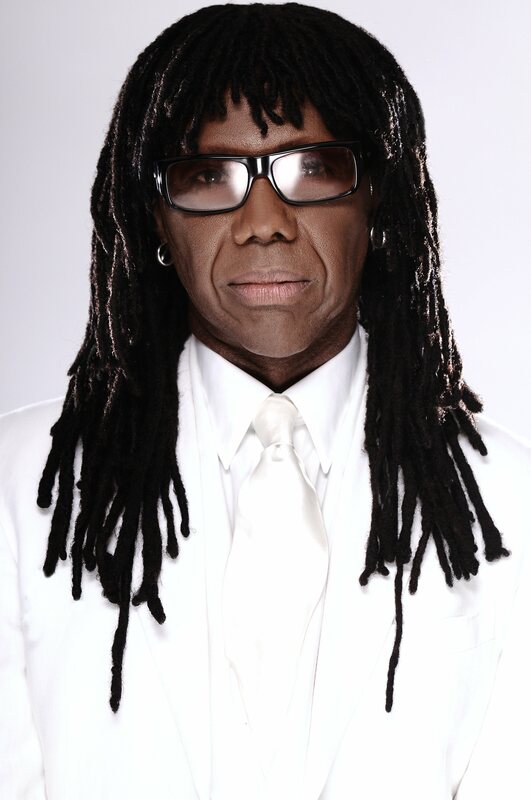 "The full scope of Nile Rodgers' career is still hard to fathom, and it's not just ongoing, it's in overdrive," Rolling Stone recently remarked, naming Rodgers one of "the 50 Most Important People in EDM" (2014). Indeed, Rodgers' unrivaled track record is a mere glimpse of what's yet to come. BMI Icons are selected for their unique and indelible influence on generations of music makers. As the 2015 honoree, Rodgers will join elite ranks that include James Brown, Mariah Carey, the Jacksons, Snoop Dogg, Cash Money's Bryan "Birdman" Williams and Ronald "Slim" Williams, George Clinton, Isaac Hayes, Little Richard, and Al Green, among others. For more information on the BMI R&B/Hip-Hop Awards and other BMI R&B/Hip-Hop events, visit http://www.bmi.com/genres/rb_hiphop. To join the conversation about the Awards, use hashtag #BMIRnBHHAwards. 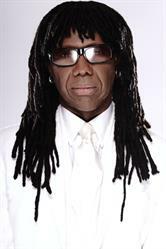 To download a high resolution photo of Nile Rodgers, click here. Celebrating 75 years of service to songwriters, composers, music publishers and businesses, Broadcast Music, Inc.(r) (BMI(r)) is a global leader in music rights management, serving as an advocate for the value of music. BMI represents the public performance rights in more than 8.5 million musical works created and owned by more than 600,000 songwriters, composers, and music publishers. The Company negotiates music license agreements and distributes the fees it generates as royalties to its affiliated writers and publishers when their songs are performed in public. In 1939, BMI created a groundbreaking open-door policy becoming the only performing rights organization to welcome and represent the creators of blues, jazz, country, and American roots music. Today, the musical compositions in BMI's repertoire, from chart toppers to perennial favorites, span all genres of music and are consistently among the most-performed hits of the year. For additional information and the latest BMI news, visit http://www.bmi.com, follow us on Twitter @BMI or stay connected through Broadcast Music, Inc.'s Facebook page. About this company Broadcast Music, Inc.